Use these handmade brass hooks to display tools such as pans or spoons in your kitchen. Or to keep your kitchen linen in reach. Just as beautiful combined with other materials as they are paired with the matching brass Futagami towel hanger. 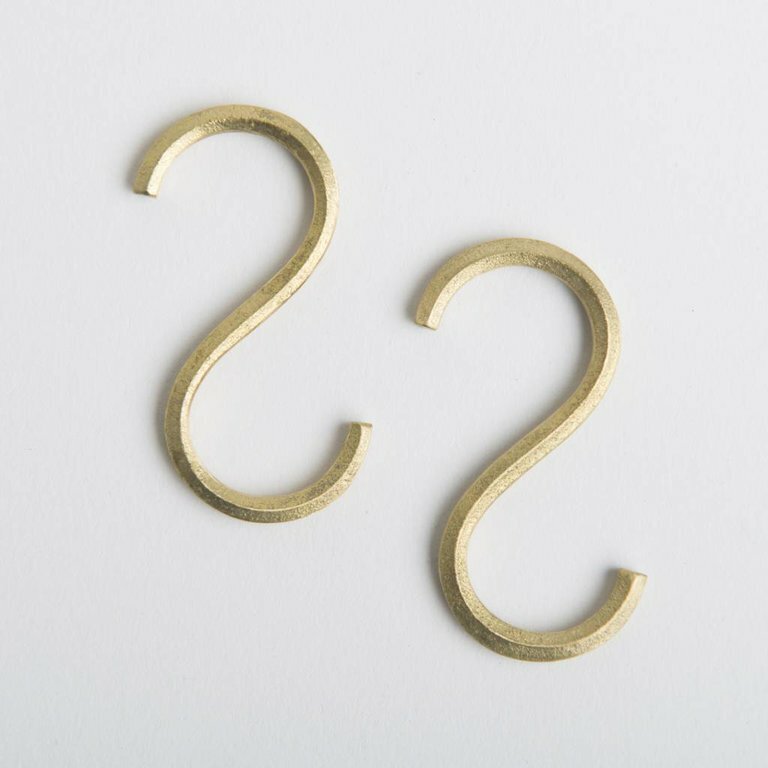 Each hook measures 51 mm x 25 mm x 4 mm.